Master the model-view-controller (MVC) view, and developing complex apps will be a breeze. This design pattern separates the code of different parts of an app: that which respectively handles the logic for app data, data display, and user interaction. You'll be able to focus on one aspect of development at a time, simplifying everything from building to testing your app and much more. 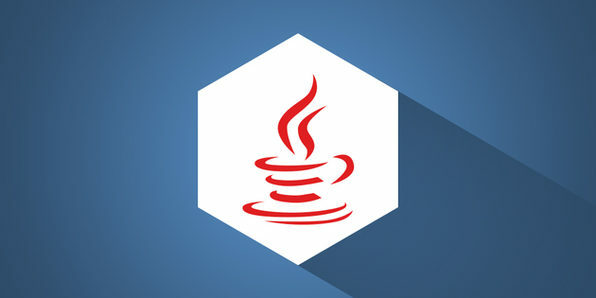 Take your Java skills to new heights by mastering three powerful features: reflection, annotations, and lambdas. You'll be able to apply code that can inspect other code in the same system, utilize metadata to learn about a program's properties, or craft blocks of code that you can calibrate to execute later--all tasks that will make you a more efficient, effective programmer than you thought possible. Java seems an appropriate name for a language that seems so dense, you may need a cuppa joe after 10 minutes of self-study. Luckily, you can learn all you need to know in this short course. You’ll scale the behemoth that is object-oriented programming, mastering classes, objects, and more to conquer a language that powers everything from online games to chat platforms. Add some serious firepower to your Java skills with multithreading, or the simultaneous execution of multiple tasks in the same program. Implement multithreading, and it's like you're putting multiple CPUs to work executing those tasks in your program. This is a powerful tool to amp up the performance of any program without completely draining precious computing resources. Delve into new-age threading: Callable & Future objects, executors, etc. Why reinvent the wheel when writing code? Meet the design pattern--a best practice applicable to a general problem that developers have faced during the development process. You'll learn about 24 design patterns applicable to Java, including the MVC paradigm, observer pattern, and more, to really take your coding efficiency to the next level. If JavaFX and Swing aren't in your development toolbox, they should be. These graphical user interface libraries are powerful tools that will expedite UI design in your Java applications. Think buttons, bar charts, date pickers, and more--any features that users will use to interact with your app. Utilize UI-building techniques & tools: menus, trees, buttons, tables, etc. Draw shapes & nodes, render 3D images & animations, etc. Why learn JavaFX and Swing? Java is undoubtedly one of the most important programming languages out there, and learning it doesn't have to be a chore. 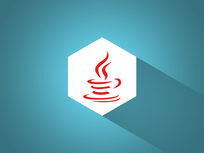 This course will have you up to speed in no time, covering programming basics applicable to all languages, Java fundamentals, and much more. Master the fundamentals of Java: data types, variables, constants, etc. Utilize conditional tests & operators, arrays & collections, loops, etc. Huw Collingbourne runs Bitwise Courses and teaches courses on a range of programming topics. He is also the technology director at SapphireSteel Software, a company which makes tools for Microsoft Visual Studio. Huw has been a programmer for more than 30 years and is a well-known technology writer in the UK, having written numerous opinion and programming columns for publications such as Computer Shopper and Flash & Flex Developer’s Magazine. For more details on the course and instructor, click here. This course is hosted by StackSkills, the premier eLearning destination for discovering top-shelf courses on everything from coding—to business—to fitness, and beyond! String equality – exceptions to the rule! Delve into this powerful general purpose programming language to understand a technology that powers much of the Internet--games, online chat features, and more. You'll master everything from Java syntax to general object-oriented programming principles, and will establish a solid Java programming foundation by course's end. Master object-oriented programming concepts: inheritance, abstraction, etc. University of Geeks is a team of developers that wants to help and inspire others to learn development. This four-person team collectively possesses 3 Bachelor's degrees in Computer Science, a Bachelor's in Design, and around 15 years of experience coding and teaching. For more details on the course and instructor, click here. This course is hosted by StackSkills, the premier eLearning destination for discovering top-shelf courses on everything from coding—to business—to fitness, and beyond! Conclude your Java journey with this comprehensive course on Java 8. With hundreds of lectures spanning everything from setting up your programming environment to utilizing loops, arrays, and methods, you'll be certain to achieve complete Java mastery by the time the clock winds down on the final seconds of your last lesson.